Time now for the final class of My Own Little Hall of Fame for this year. This time it’s the Class of 1922. The choices here are reasonably obvious. Mordecai Brown was the ace of four pennant winning teams, two of which won the World’s Championship. Missing parts of two fingers on his throwing hand earned him the nickname “Three Finger.” Winner of over 200 games, he possesses one of the five top ERA’s ever and led the 1906 Cubs to a record 116 wins. 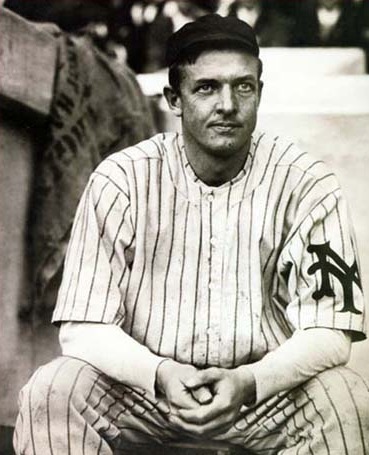 Christy Mathewson led the New York Giants to five pennants, two championships, and a World Series victory. In the 1905 World Series he won three complete game shutouts, including the Series clinching game. 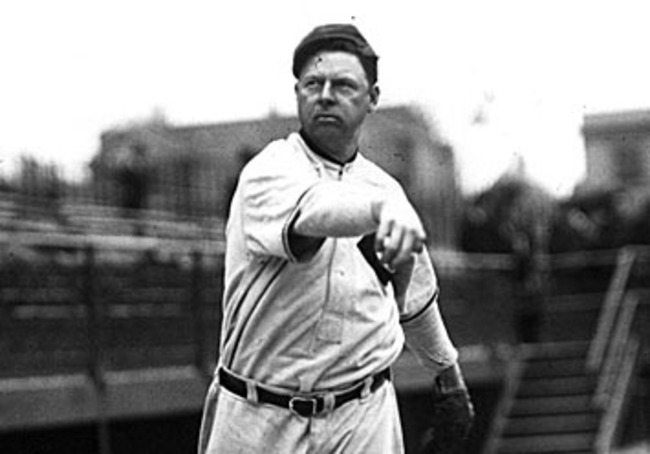 With more than 350 wins, he led the National League in wins four times, in ERA five times, in strikeouts five times, and in 1908 walked only 42 men in 390 plus innings of work. 1 You’re surprised at who made it are you? Of course you aren’t. These are three of the true greats of the game; three of the kind of player a Hall of Fame is meant to honor. Having said that, there are some things to point out about each that help make how what I wrote above make sense. 2. 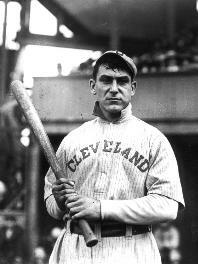 LaJoie in 1922 had credit for only two batting titles. Modern research has given him a third (the one in 1910) which is still not recognized by Major League Baseball. For the purposes of this post I went with the two acknowledged in 1922. There were still a couple of differences in his hit total, so I left the 3000+ hits out entirely. And as RBIs were just becoming a well established and accepted stat I decided not to emphasize the 1901 Triple Crown. 2. Currently Brown is credited with sixth all time in ERA. At the time (1922) ERA totals were in flux, especially among 19th Century players. Today Jim Devlin is credited with an ERA lower than Brown’s but that seems to have been unknown in 1922, so listing ole Three Finger in the top five works for this purpose. Again there is some differences in his numbers, this time the win total (kinda like LaJoie and his hit total) so I was deliberately vague with the exact number. 3. Mathewson’s exact win total is still in some dispute in 1922, but everybody is above 350 and there seems to be a growing consensus around the 373, the currently accepted number (although there seems to be some question about a 374th win). I had to acknowledge the 1904 pennant by calling it a championship, but then refer to only one World Series win (1905). It looks a little awkward, but it is correct. 4. By this point the statistics are beginning to even out. By that I mean I’m getting the same numbers for the same stats almost universally among newer players. There is, however, still much discrepancy about the exact figures when it comes to older players, especially 19th Century types. And for really early baseball (say 1865 or so) it’s hopeless (and today frankly isn’t just a whole lot better). I’m beginning to wonder why Al Monro Elias isn’t in the real Hall of Fame. His Sports Bureau is a Godsend for my project (but even there problems exist). 5. I plan to do a year-end post on this project summarizing what’s happened and what I’ve learned (some of which was pretty obvious if I’d thought about it and some not so much). This entry was posted on December 3, 2015 at 7:00 am and is filed under Baseball. You can follow any responses to this entry through the RSS 2.0 feed. You can leave a response, or trackback from your own site. Part of the problem with Elias is that he or his organization was the exact opposite of Sean Foreman and BBREF. Their stuff was, if I remember complaints by Bill James correctly, proprietary. Foreman, I believe, belongs in the Hall for the way he has helped to bring so much knowledge to so many of us. And let’s not forget the great work of the folks at Retrosheet. Agreed, but retrosheet isn’t around in 1922. I’m stuck with using what Elias stuff I can find and even that gets a little goofy because I have to see if I can find what Elias knew in 1922 rather than what they know now. Now those are three all-time greats that I doubt anyone could argue shouldn’t be in the HOF. Matty is one of my all-time baseball heroes. They should have made a movie about him by now. Another fine addition to your series. The more I read about this era in baseball, the more I wish I had been around to see it. It was quite a time for the game! Man, do you do a heap of research, V! Why don’t you try to get these things published. I must confess, I enjoy all of them! By the way, I’d cut those two fingers off of my hand if it would enable me to throw like ol’ Mordecai! It’s better than what Van Gogh did. What’s anyone gonna do with one ear, baseball-wise, I mean?